Thank goodness for the 1% of the people that aren’t. I know a few. So do you. A relative of mine is a high ranking member of the elite services level of the military. I can’t really say more than that because that is how high up he is. Let’s just say he keeps us safe. His wife is no exception. She and her husband wake up at 4am so they can do their “thing” in “self care” and carving out time for themselves so that they can prepare for their day and control their day so that their day doesn’t control them. back into bed with my puppy. 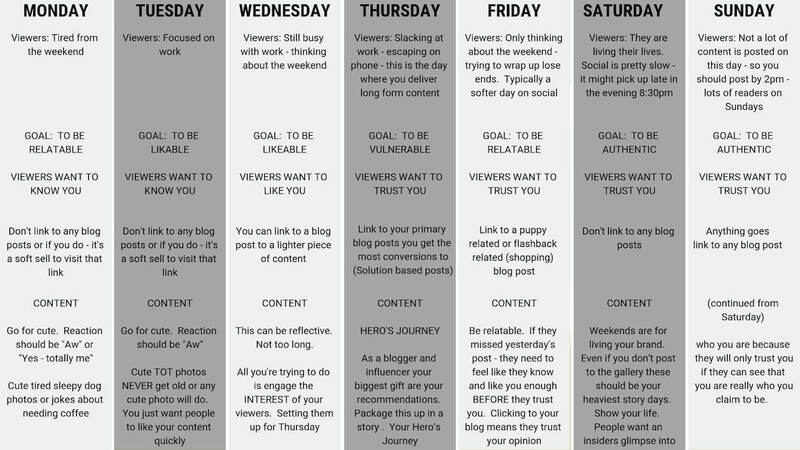 For example’s sake I’m going to use a roadmap for a blogger. Part of the reason why is a blogger works for themselves. They share content that they believe in. And if you have enough traffic to your site, your blog can earn revenue through advertising or affiliate income. In a way it’s the ultimate test of being an influencer. Can your readers trust you? Do they act on your recommendations? Do you offer a different perspective? If you don’t have a blog – do you have an Amazon store? If so – you can substitute the “blog” below with your Amazon store. And if you don’t have either … but want to work with brands for campaigns… then you can substitute where I talk about the blog below for the brand you’re trying to promote that week. People don’t pick up their phones because of YOU and YOUR DOG. They couldn’t care less. It’s because of Them. The phone is the entertainment center in their pocket and you’re just a channel. 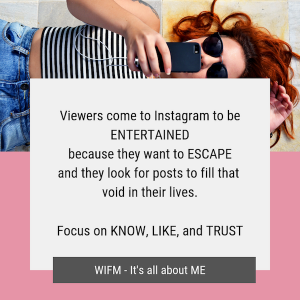 Viewers are looking to be entertained and to escape. Photo: sleepy pupper. RBF. Or memories from the weekend. Caption: 7 words or less. Fact: Did you know the first 64 characters in your Instagram caption is visible. After that it’s truncated. Because people on Mondays are looking for RELATABLE content. They hate that they have to back to work and misery loves company. Posting photos, videos, and captions that capture this mood is easy. Or maybe its the puppy making fun of you. Your photos should show your puppies eyes. It’s the expression you are going for. Or the MOOD. We’re not in the business of educating right now. We’re just trying to be relatable. and so you have to be relatable. You’re right now appealing to the masses of the mood. The photo you select should be clear, bright. Composition wise… I try to keep it simple. So not having a busy background so a reader’s eyes can focus on your subject. There are accounts like Boop My Nose who show a dog’s nose – and variations of it by showing different breeds. It’s doing well because the reader doesn’t have to think – all they have to do is react. So simple. I know exactly what I’m getting. Mondays I don’t want to think about you and your post I just want to get through my day and while I’m standing in the grocery line buying tonight’s dinner I want to see your post and like it. YES use all 30 and use two in the caption and add 28 in the comments. that you can read here and here. Please read both. One shows screen shots of posts that go viral and another gives you the tool to find our hashtag. 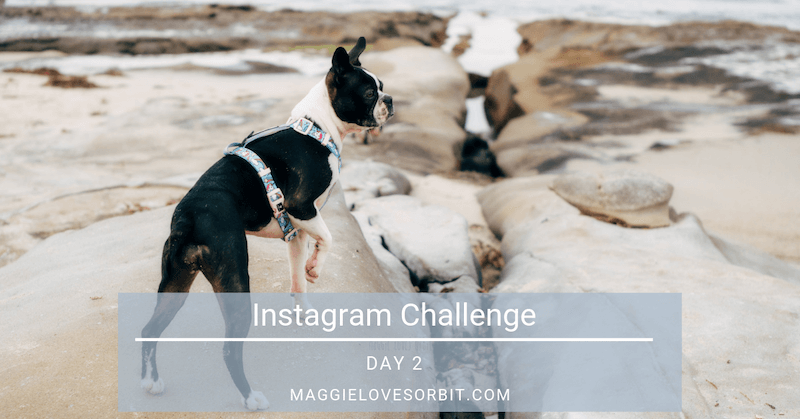 I use Display Purposes and you don’t have to go the whole way just put in your dog’s breed + another general hashtag so for me I might put in #bostonterrier #dogsofinsta and let it give me 28 hashtags (move the slider to dictate how many hashtags you want). 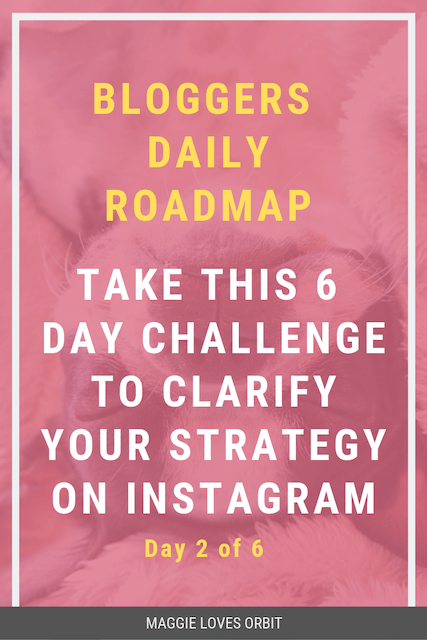 At a minimum you HAVE to post 6 times a week. I am currently posting that for my clients at level one in my package plan. Level two is twice a day PLUS 2 stories a day PLUS 1 IGTV once a week. If this stresses you out… relax … I will guide you on what to post because I know you’ve got enough photos in your camera roll you just don’t know what to do with it. WHY do you have to post this often? It’s because it’s the only way to stay in the stream of consciousness of your readers. If you have a blog there is a concept you may have heard of. Your Blog is the Fire. So if you’re not putting yourself out there people forget about you. You need to stay IN FRONT of them otherwise you won’t be able to drive them to do the things you need them to do (click on a link, read a post, click on a vendor’s link etc.). p.s. If you’re reading this on a desktop – maybe you picked up on the wave pattern of how the sentences are broken up. Not that you have to do exactly this every post but the point is that people on Instagram have the attention span of a gnat so you need to make your posts as easy to read as possible.